In this incident it appears the steel davit base or its permanent to the building structural system (steel or concrete) failed. This being a four wire platform (2 wire ropes on each side) allows for the workers to tie off to the "dog-line" on the suspended platform itself. 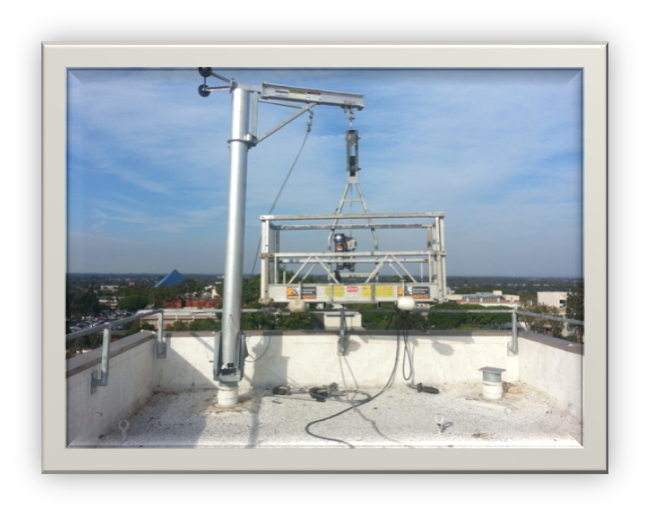 The redundancy and safety factor built into the remaining davit support saved their lives.